Station staff across the job are facing discipline, and even the sack, for minor ticket office discrepancies. We’re rapidly losing faith in the technology we’re working with, and in LU’s ability to train us on it. If you don’t feel confident, insist on further training. Management appear to have accepted that stopping passengers leaving the station with a code 36 until staff intervene is not working. Gates at 15 stations have been modified to have a lower exit threshold, meaning someone with “insufficient PAYG” can exit. If this trial is successful it will be made standard. 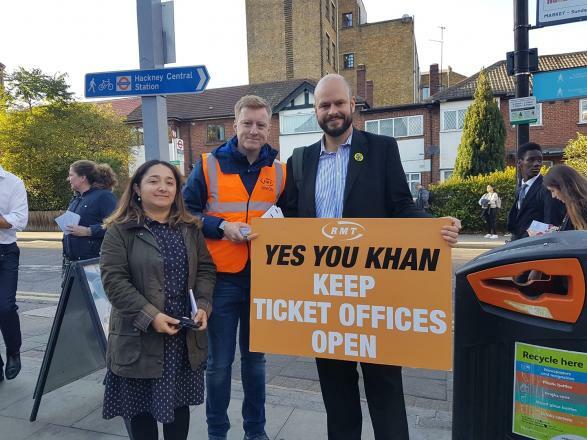 Stop London Overground Ticket Office Closures! Following in London Underground's footsteps, London Overground now plans to close nearly all its ticket offices. Read more about Stop London Overground Ticket Office Closures! LU says too many customers are having too much money refunded to their Oyster cards. LU is now monitoring station staff. It has produced a league table to help management identify whether "the same people" are "always" doing refunds. What is this meant to prove? That some staff like to help when customers have been over-charged? It's a slap in the face. LU closes ticket offices and pressures us to do ticket selling duties without proper training, then watches to see if we do the new practises "wrong". Read more about Your Money Back? A rather dystopian, if garishly-coloured, vision of TfL/LU's corporate, semi-privatised future at Oxford Circus today, as wealthy sugar merchants Lucozade ran a promotion offering free bottles with a contactless chip worth one free Tube journey embedded in the bottom. It has long been an ambition of LU bosses, and some politicians, to boost private sector involvement in the Tube — from selling off former ticket office space to retailers like Amazon, Tesco, and Argos, to flirting with procuring corporate sponsorship for station names ("Lucozade Oxford Circus", anyone?). Revenue Control Inspectors (RCIs) have increasingly been working in full uniform, whereas many operations were previously undertaken in plain clothes. LU's aim is clear: by putting more uniformed staff on stations, they're attempting to mask the impact of their job cuts. It makes it more difficult for the RCIs to do their job. 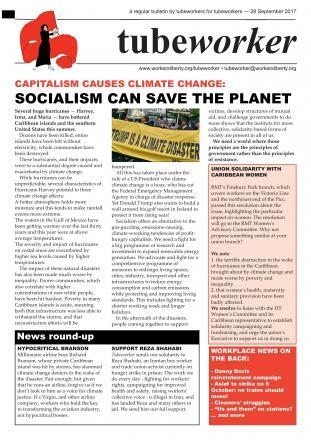 Read more about I Spy RCIs?